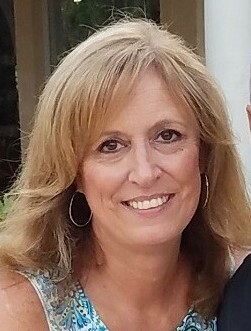 Joan C. Gelalia, 58, of Northvale, passed away on Sunday, January 13, 2019. Beloved wife for 39 years to Anthony C. Gelalia. Devoted mother of Michelle of Northvale, Brian and his wife Jill of Ramsey and Lisa of Northvale. Dear sister of Richard Korner and his wife Blanca of Demarest. Joan will also be missed by her grand dog Calvin and was looking forward to becoming a grandmother in the spring. Joan had recently retired from Mercedes-Benz in Montvale where she worked for 17 years. Visiting hours will be Saturday from 2-5 PM at Pizzi Funeral Home, 120 Paris Avenue, Northvale (201-767-3050). In lieu of flowers donations in Joan’s memory may be made to the Valley Program Foundation for Children with Autism, http://valleyprogramfoundation.com/ . We are so deeply saddened to hear of the loss of such a kind, patient, beautiful woman inside and out. Our deepest and heartfelt sympathies go out to all her family and friends! May god comfort your heart at this difficult time and may she rest in Peace in a place with no suffering. She was such a Wonderful person. I am so very sorry for your Loss. May God Bless you and your Family and just remember she will always be with you. May she rest in peace. Thoughts and prayers to family during this time. Remembering all the times we share when our kids were young. Wonderful personality. Wonderful wife and mother. She will forever be in our memories. Please accept my thoughts and prayers for all of you. I am saddened to learn this news and can tell how loved Joan was by her friends and family, as I believe she loved them. May she rest in peace. From the time we were just youngsters Joan was always so kind . My prays are with your family at this sad time. It was so great seeing Joan at the reunion. I didn’t know your mom well, but we reconnected about 2 years ago after having been acquaintances when our boys played baseball on the same team at William Paterson. We enjoyed several dinners together over the last 2 years, the last of which was in October. I am shocked and so very sorry for you all. Praying for you all at this time.? There are no words to express how deeply saddened I am by the loss of my dear friend Joan. To her family, Anthony, Michelle, Brian, & Lisa my thoughts and prayers are with you. I will miss her sharing her family pictures and of course Calvin in all his costumes. Joan was a sincere friend, her kindness, generosity, and creativity will be missed. She will always hold a special place in my heart. Joan could always cut right to the ridiculousness of the situation for all of us at Mercedes-Benz. She had that dry way of making it seem funny. She loved her family so much. We all knew that. To lose her so young and with so much to look forward to is just heartbreaking. I would like to offer my condolences to Anthony and the family on your loss. Joan was such a nice person and thinking of all the times we all spent in the sports programs in town. In time you will heal and learn you must all go on in life.